KILL BILL, VOLUME 1, 2003. 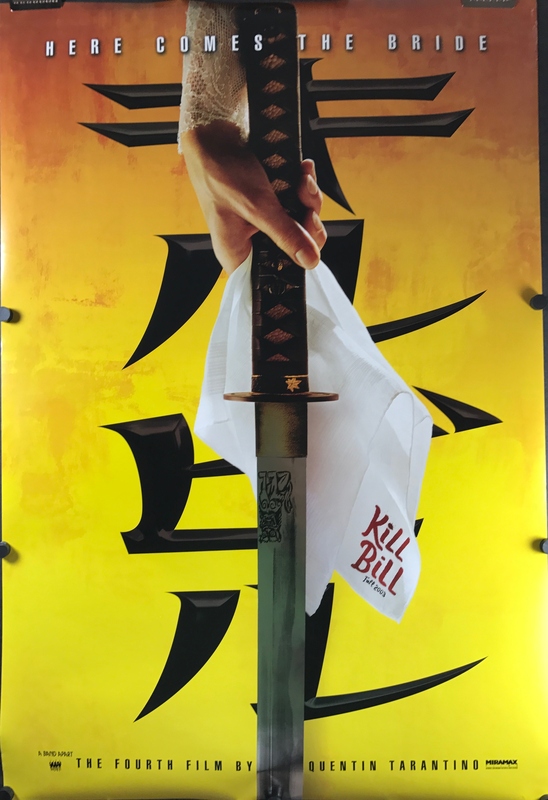 Original Advance Foil One Sheet Movie Poster (27 x 41” / 89 x 131 cm) for the fourth movie by Quentin Tarantino. Starring starring Uma Thurman, Lucy Liu and Daryl Hannah this movie quickly developed cult status among new audiences and lived up to Tarantino’s grindhouse following. Hard to spot in the photo but this poster is designated foil due the featured silver metallic sword. “Here comes the bride”. Near mint rolled and double sided.